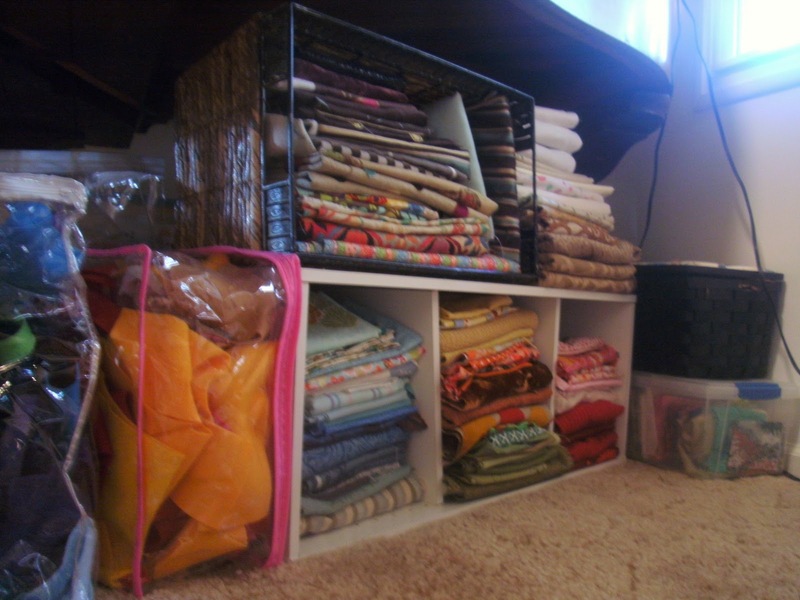 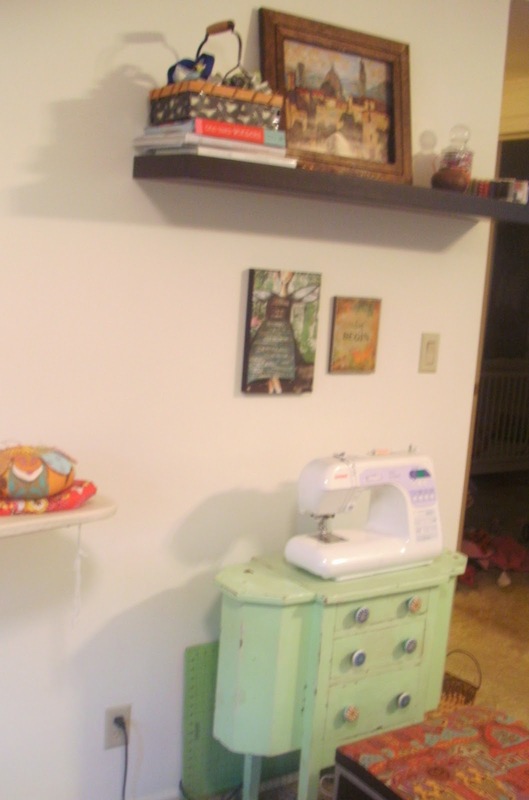 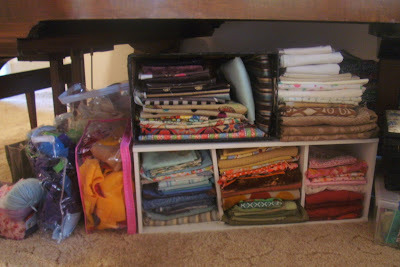 First I folded the fabric and put it into a little bookshelf turned onto it's side. 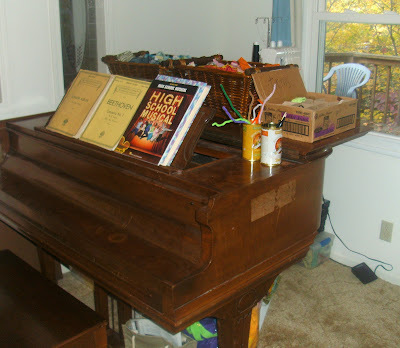 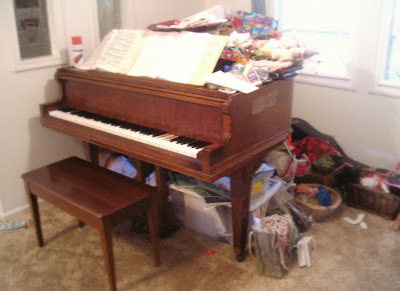 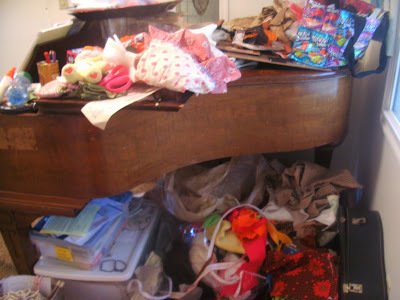 I cleaned everything off the top of the piano, and put two baskets up there with the scrap fabric - one basket for cool colors, one for warm colors. 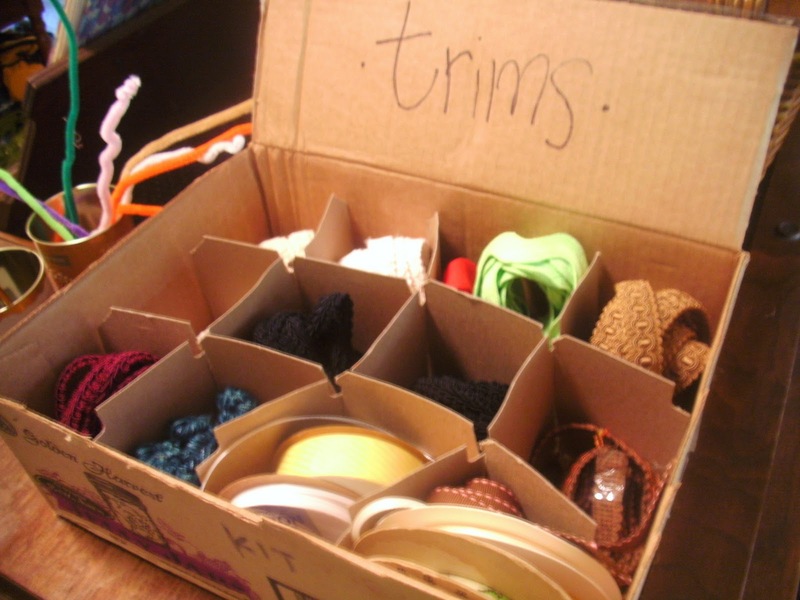 I used a box that had canning jars in it to organize my trims. 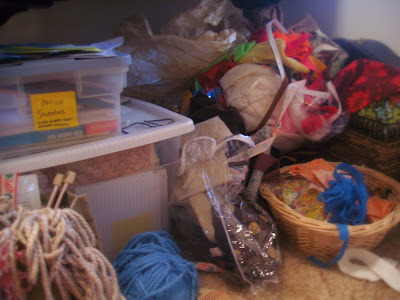 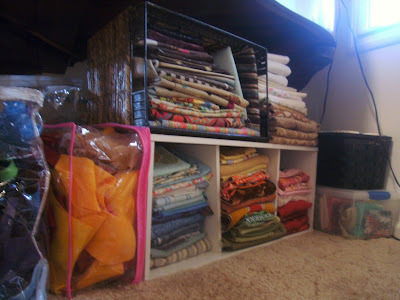 I love to hang onto these zipped up plastic bags that mattress pads and other bedding comes it- they are perfect for scraps such as felt. 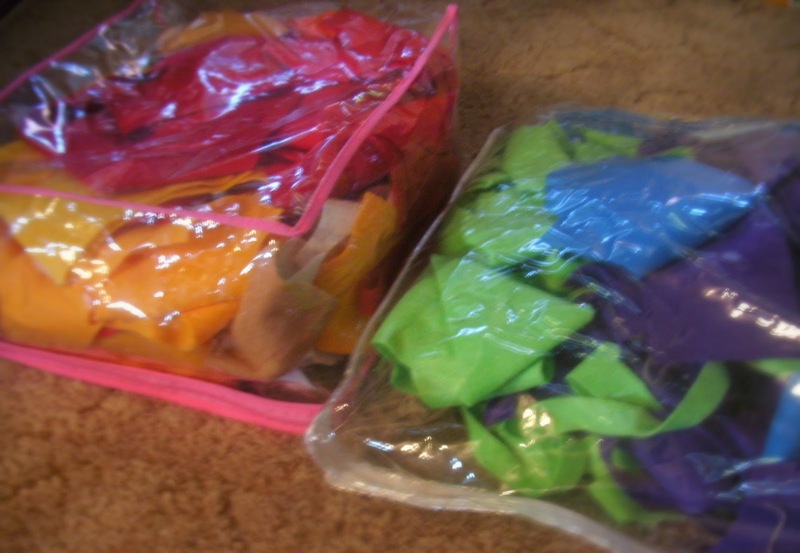 Once again I have a bag for cool colors and a bag for warm colors. YAY! 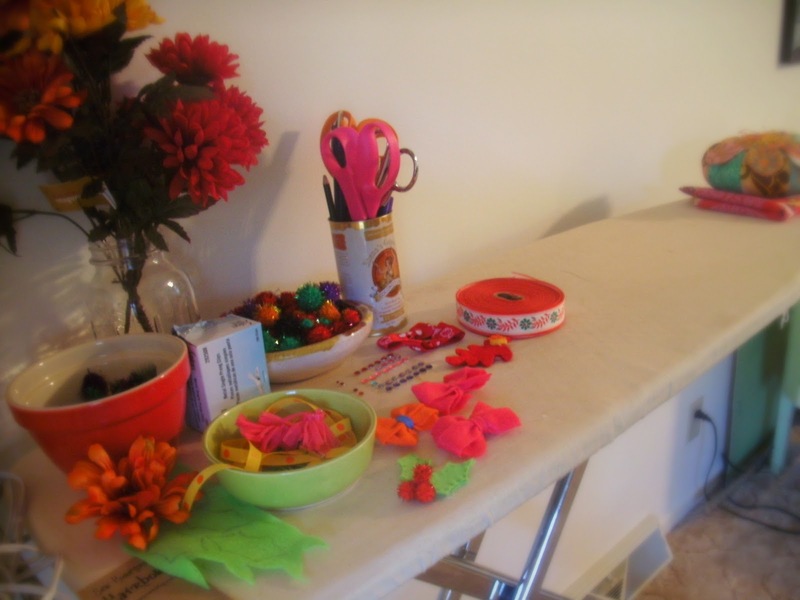 do you have any organizing secrets? Let me know!